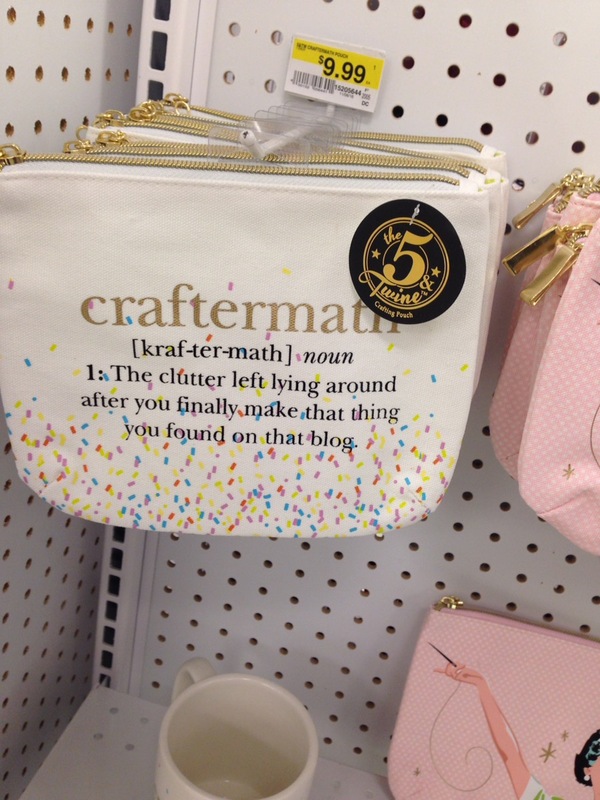 Found at my local JoAnn fabric store this afternoon. Hey! They must’ve been in my house! After this week of upheaval I again tried to put my life and these times into perspective. 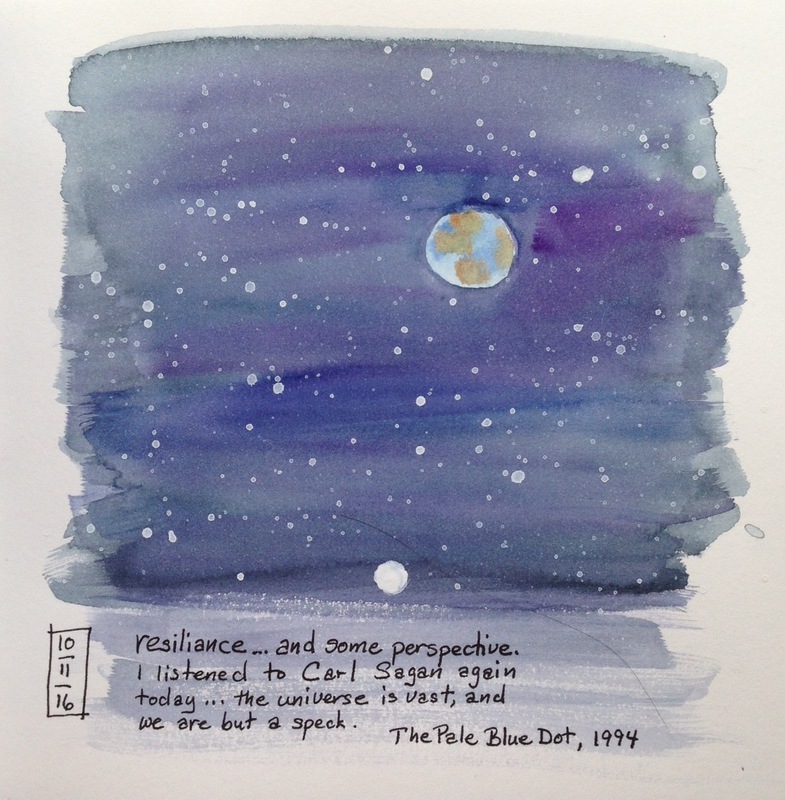 Enter Carl Sagan and his Pale Blue Dot speech. 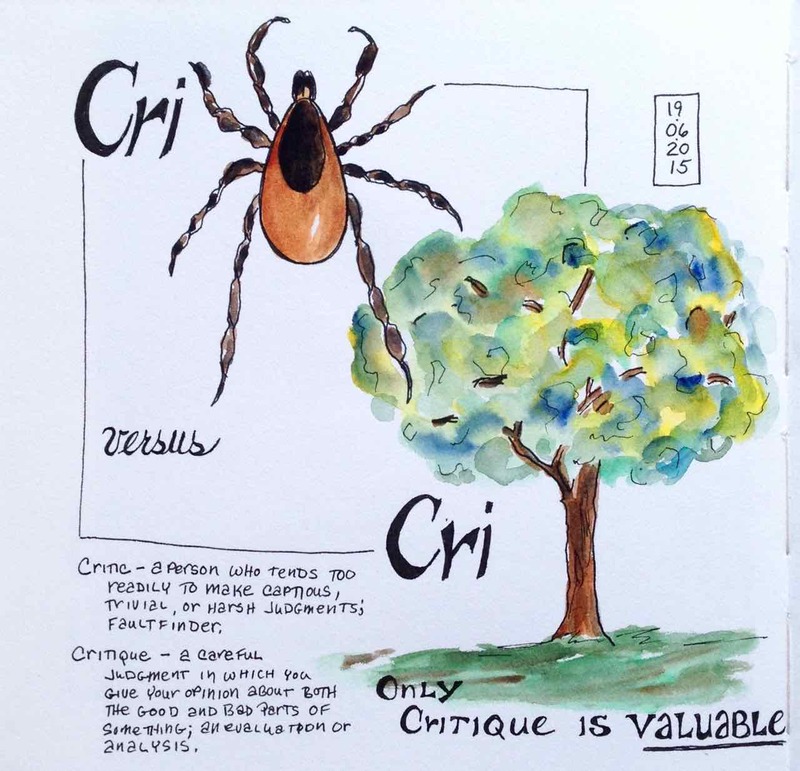 Just hearing it again inspired me to reflect, revitalize and create a journal page honoring my… and I hope… our resilience. Thank you Ken Takahashi and YouTube for this wonderful video. I use it for all sorts of things, even phone numbers I need to remember. 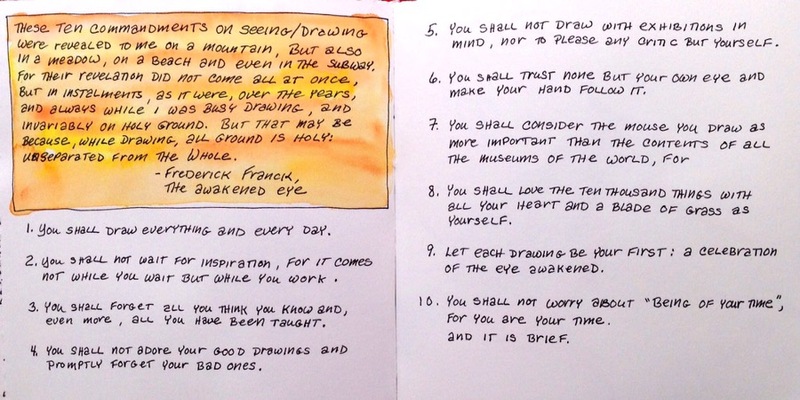 The other day a friend forwarded an article with the collected points of Irwin Greenberg, an art instructor in New York. 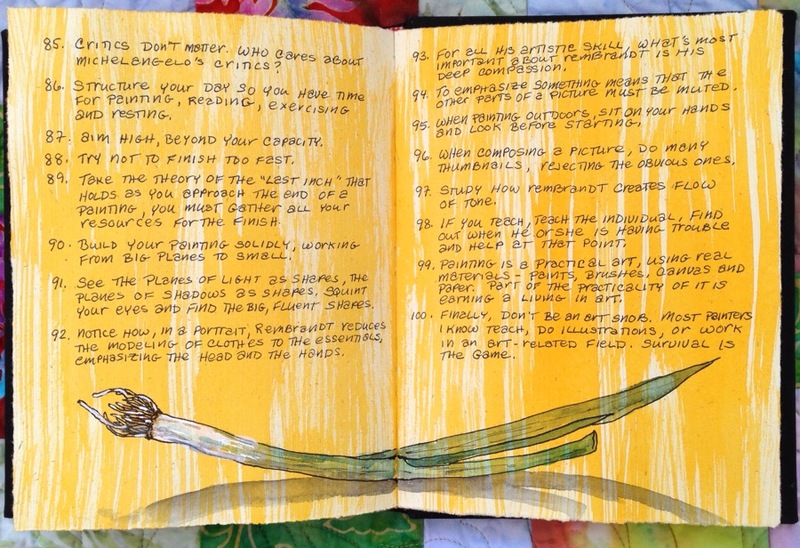 I paid particular attention since I wrote one of these points in bold face on the first page of my sketchbook: “An artist is a sketchbook with a person attached.” I knew then I needed to keep all 100 points where I could easily find them. 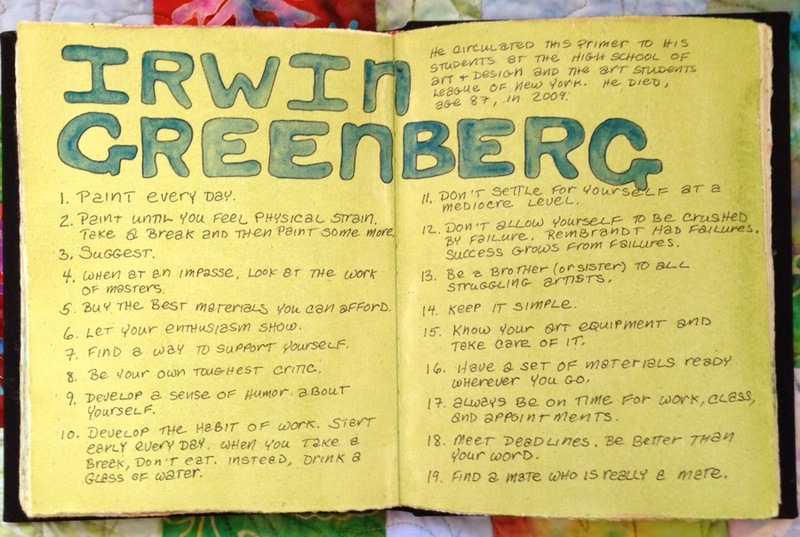 Want an easier way to read all Irwin Greenberg’s wisdom? Click here. 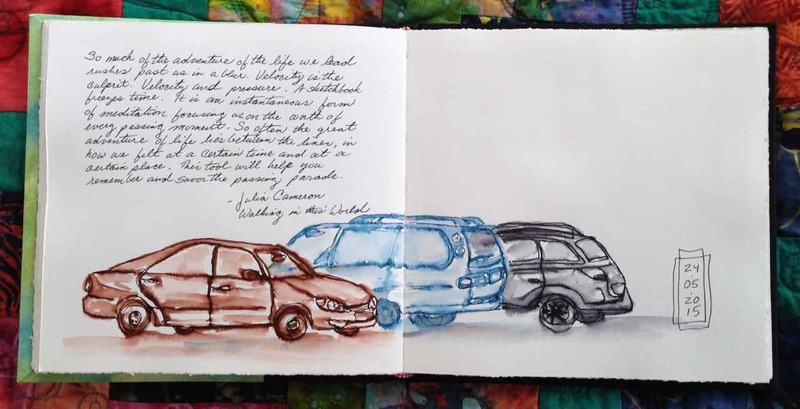 After Monday’s post I kept thinking of why I keep my sketchbook-journal and remembered this piece of wisdom from Julia Cameron I wrote on the page where I played with my watersoluble inks. So much of the adventure of the life we lead rushes past us in a blur. Velocity is the culprit. Velocity and pressure. 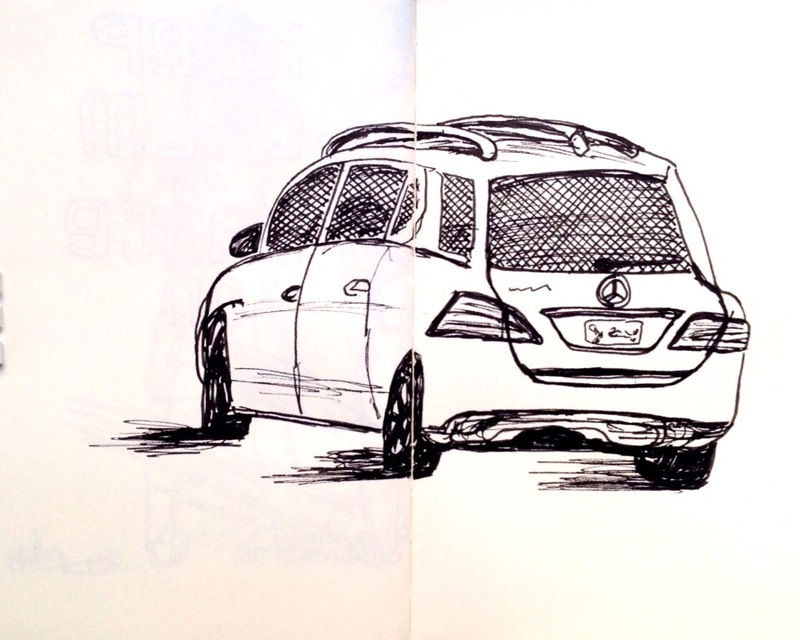 A sketchbook freezes time. 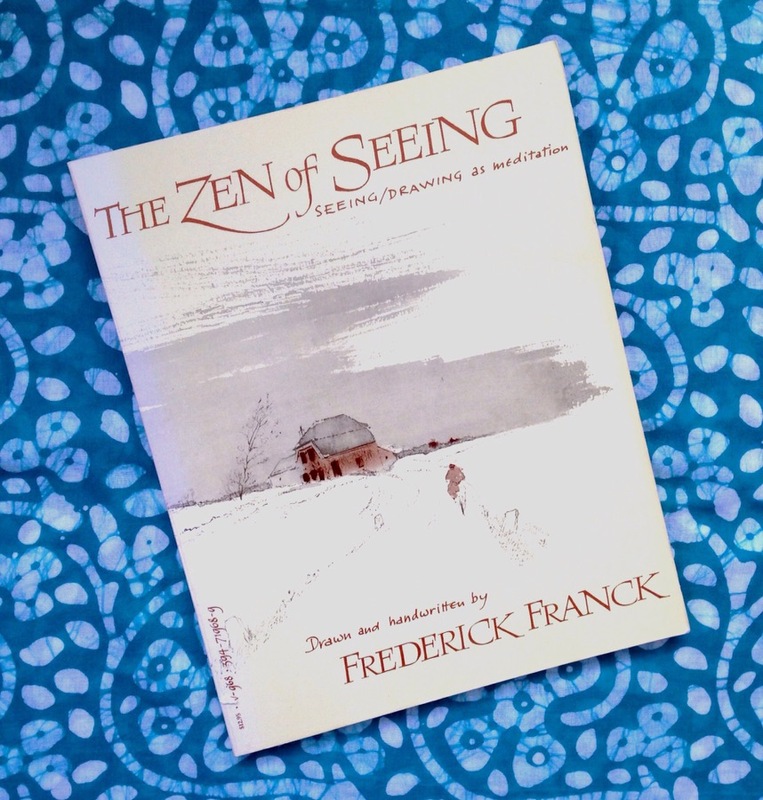 It is an instantaneous form of meditation focusing us on the worth of every passing moment. So often the great adventure of life lies between the lines, in how we felt at a certain time and at a certain place. This tool will help you remember and savor the passing parade. 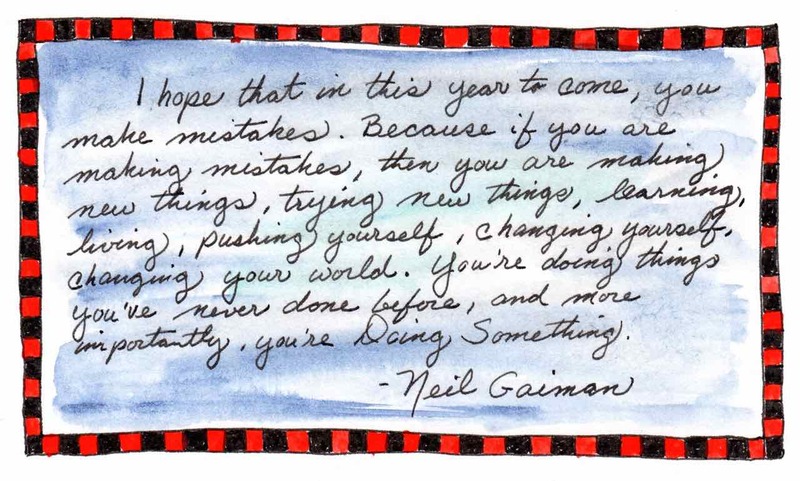 Another bit of inspiration from Neil Gaiman’s Journal, this time from 2007. 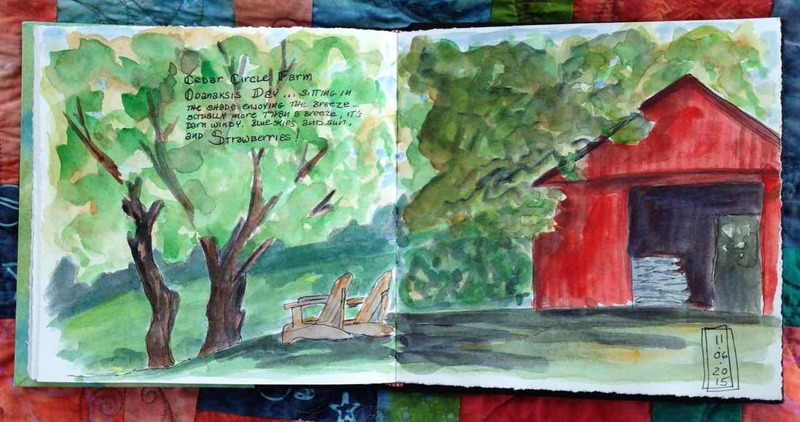 And now it’s in my journal too. 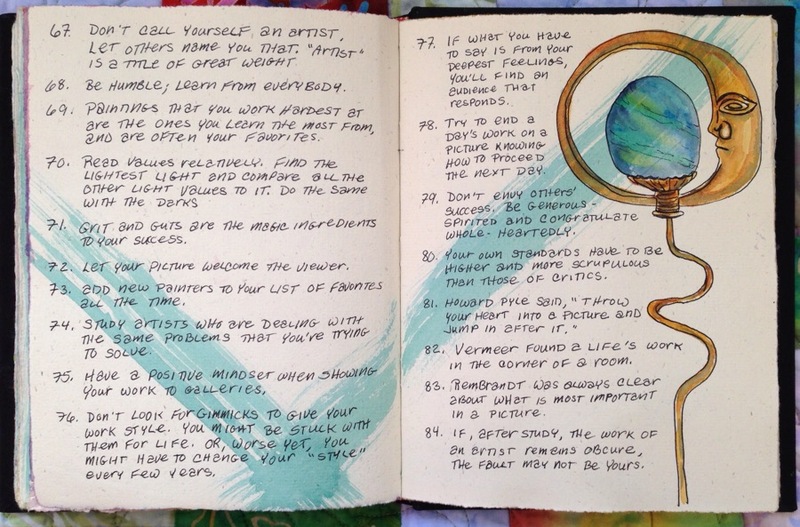 From Neil Gaiman’s Journal 2011… transcribed into my 2014 journal. I couldn’t have said it better. 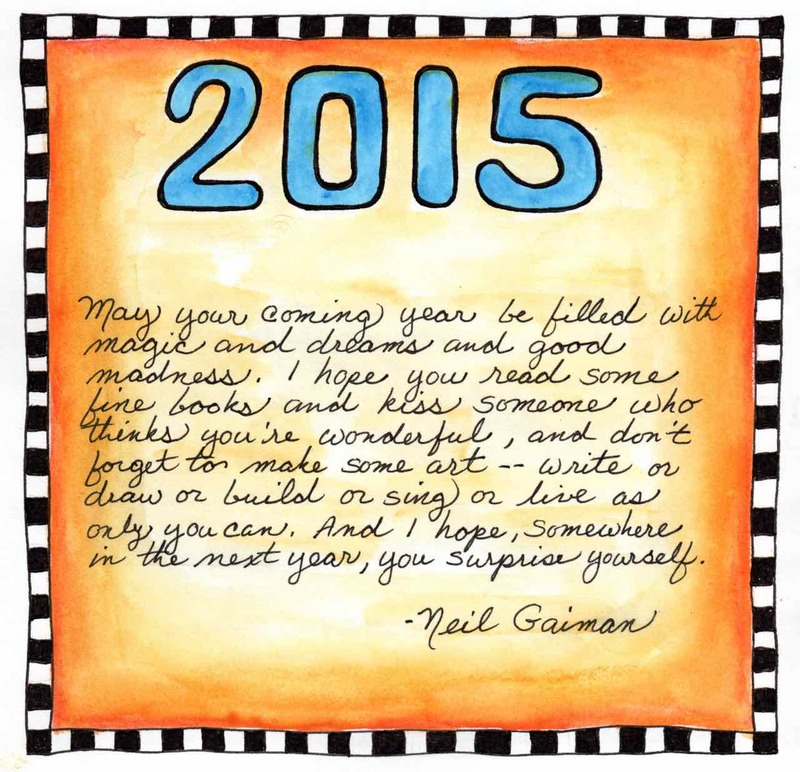 So that’s my wish for you, and for all of us, and for myself. Make New Mistakes. 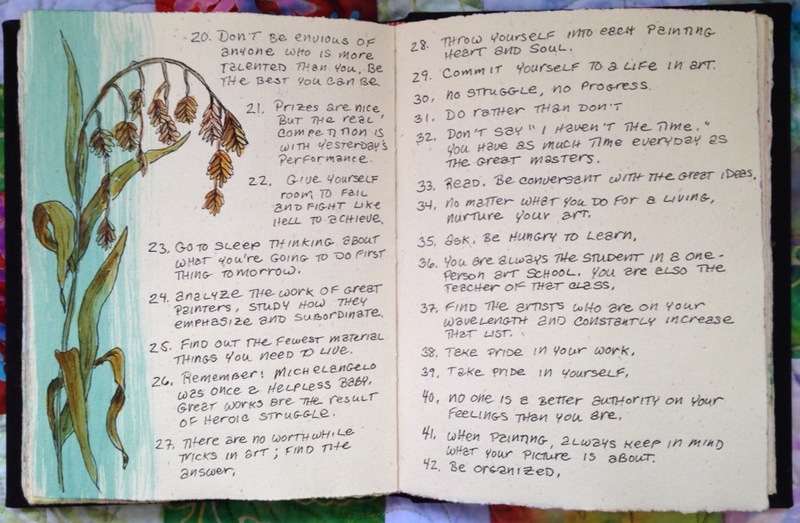 Make glorious, amazing mistakes. Make mistakes nobody’s ever made before. Don’t freeze, don’t stop, don’t worry that it isn’t good enough, or it isn’t perfect, whatever it is: art, or love, or work or family or life. 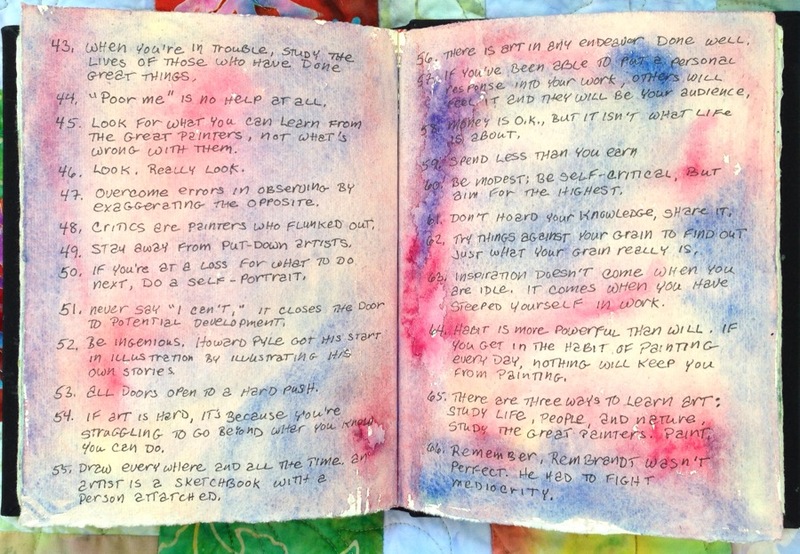 Are you having trouble coming up with an idea for a journal entry? Are you looking for journal prompts? Sometimes the best ideas can be plucked from the news. 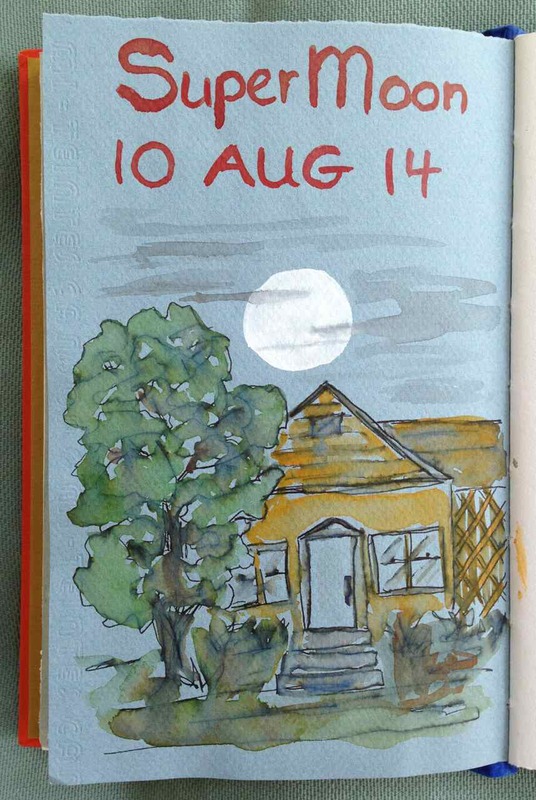 It can be as simple as adding an image, as in my quick take on Monday’s Super-Moon. 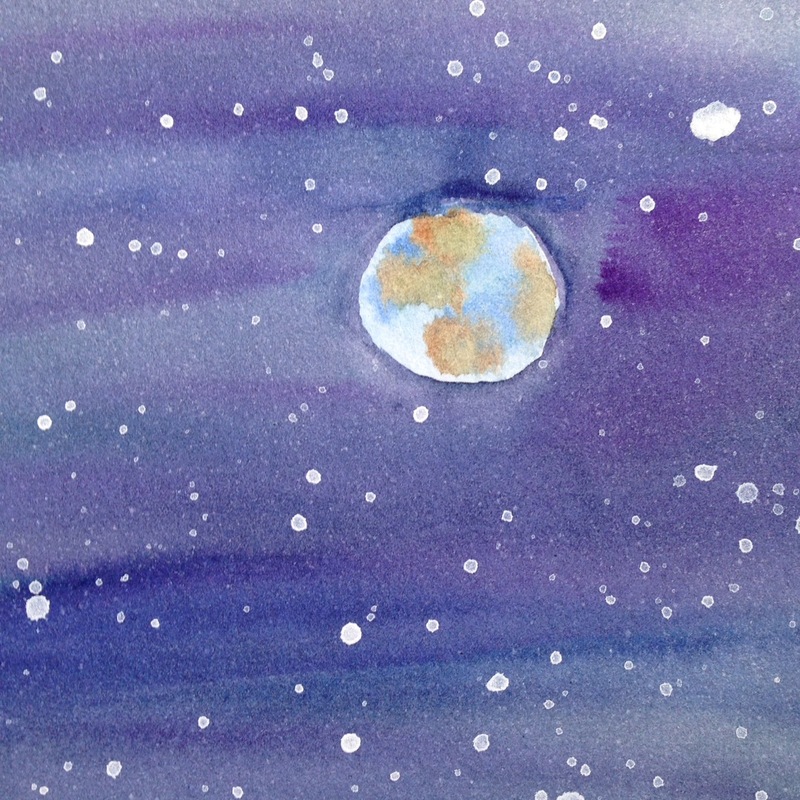 Along with my soluble ink and watercolor wash I used a bit of Titanium White gouache for the moon. Nice and opaque… I’m liking that. 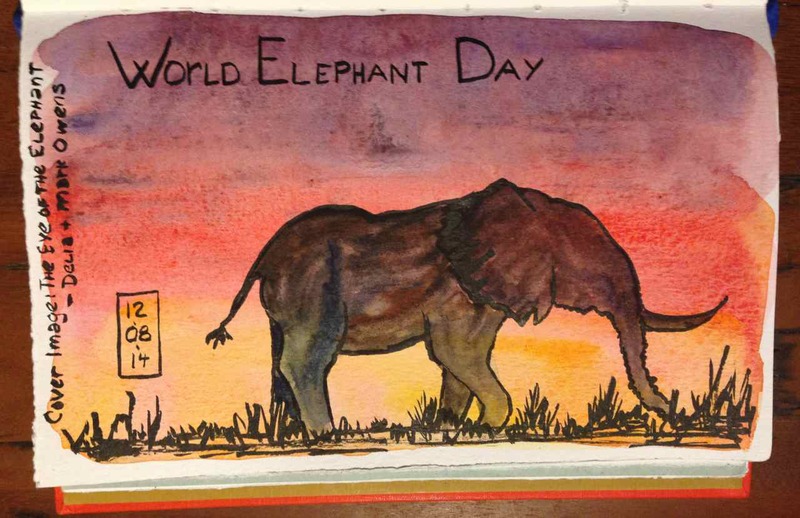 And today is the third annual World Elephant Day. A little web search found a host of activities going on… too bad the day will soon be over. Instead I created my own homage. A few years ago I inherited a lovely book, The Eye of the Elephant by Delia and Mark Owens; it tells the personal story of the authors’ quest to save the endangered elephants of Zambia. I’ve always loved their cover image… to me elephants really are the soul of Africa. My copy of it became a way to remember how treasured they should be. And then there’s Robin Williams. As one who’s had friends and family members who suffered with depression, and ultimately suicide, my wounds go deep. There will be pages. 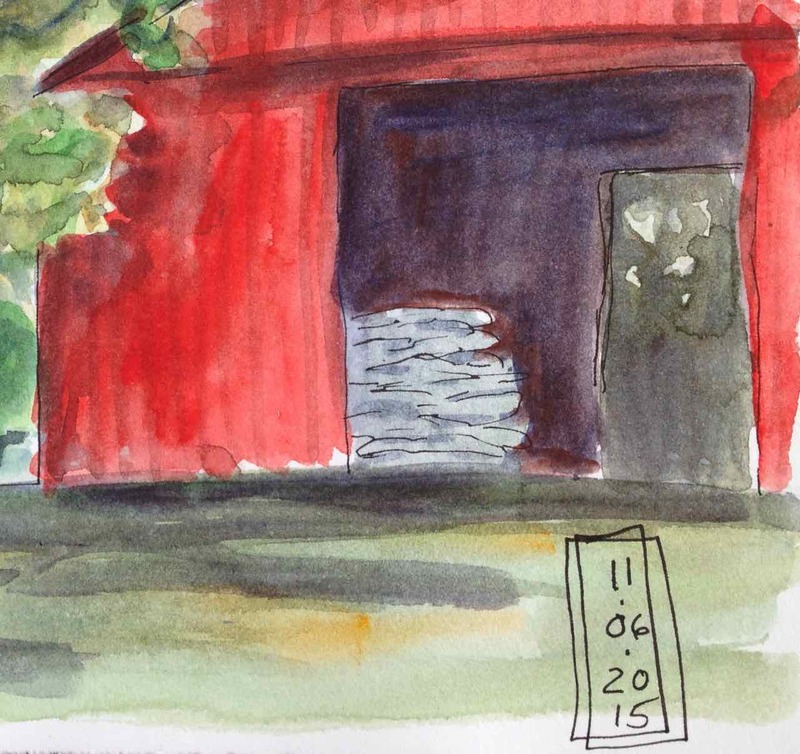 Reflections, maybe even images. Quinn McDonald said it well today. None of us knew Robin William’s suffering, but we know that silence is a killer. Our culture doesn’t approve of any perceived mental weakness, and the more the secret of depression is kept, the bigger the horror of it grows. Allow the pain in your life to speak. Give your friend, your relative, your lover, your partner the gift of the question that heals: Why do you suffer so? If you know someone who needs to talk, or if you do, call the National Suicide Prevention Lifeline: 800-273-TALK (8255). The group is a series of 163 crisis centers in 49 states. Your call is confidential. Let’s start this week out right! … and now you can’t stop smiling either!